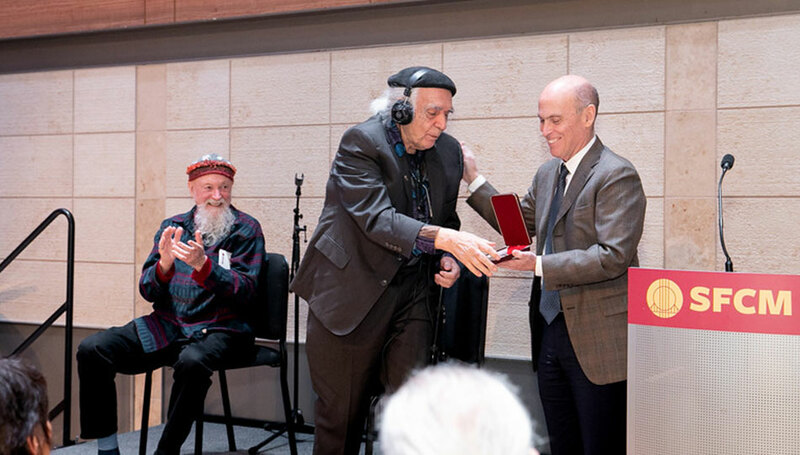 Ramón Sender Barayón ’62 was the guest of honor at this year’s Fanfare Luncheon, an annual event honoring one alumnus who has made significant contributions to music and the SFCM community. 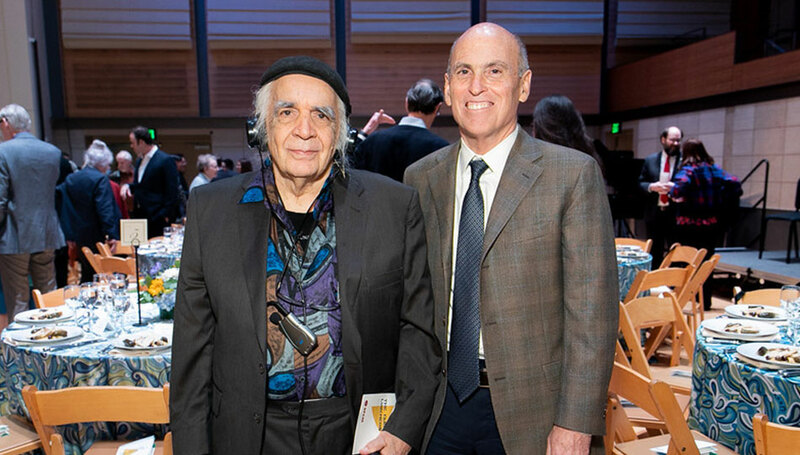 Sender, known for building SFCM’s first electronic music studio (that would later become the San Francisco Tape Music Center) in the 1960s, is a composer of international renown and a contemporary of Terry Riley, Pauline Oliveros, and others known for their experimental and minimalist works. 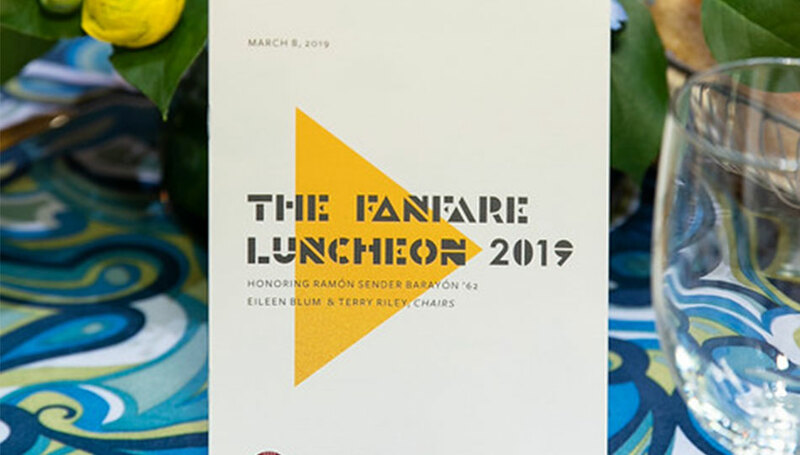 In an unusual move, this year’s Fanfare began before the actual luncheon on Friday, March 8. 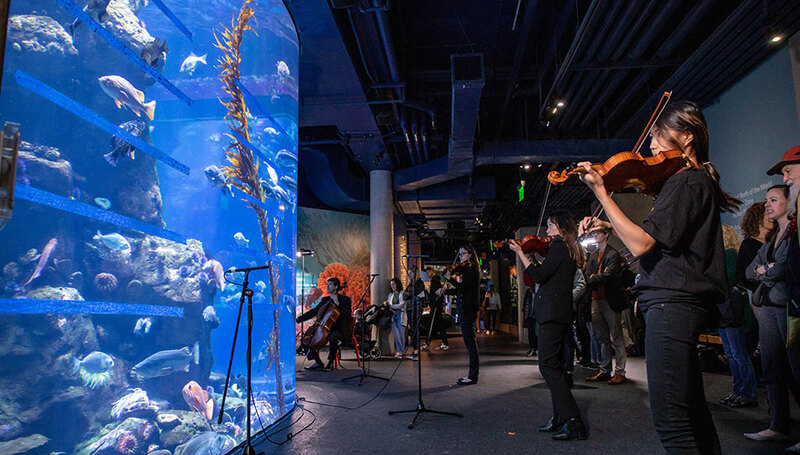 SFCM joined with the California Academy of Sciences to present Sender’s Tropical Fish Opera the day before. 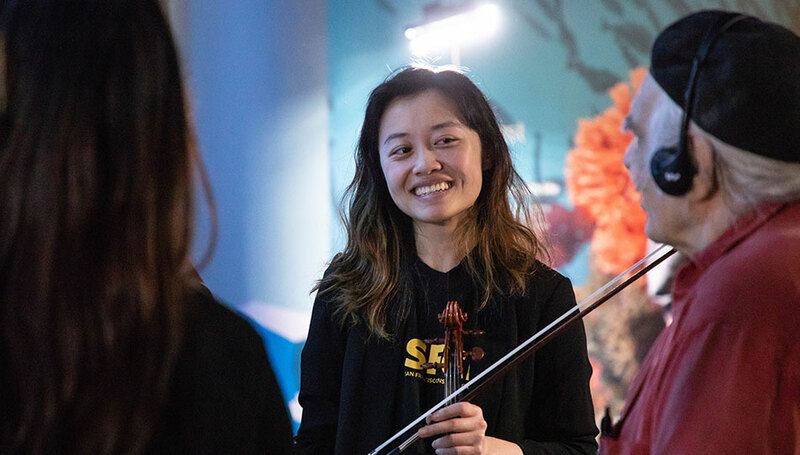 The rarely performed work was played by a quartet of SFCM students—Shaina Pan ’20, Kay Nakazawa ’20, Natalia Badziak ’19, and Nicholas Denton-Protsack ’19—in the Steinhart Aquarium. 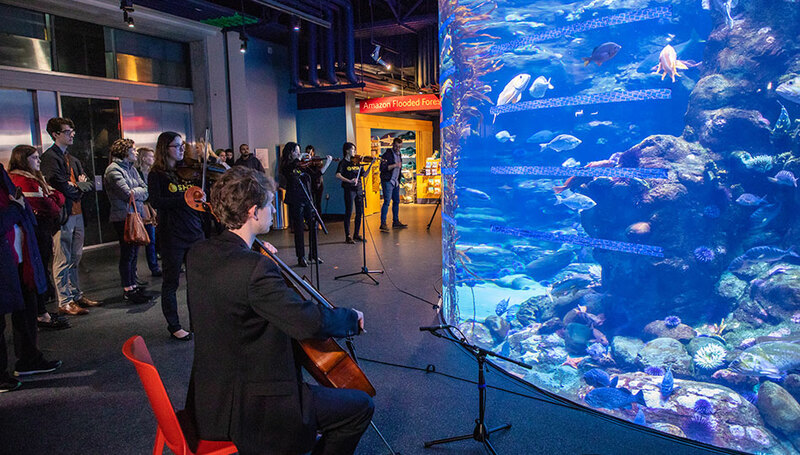 Looking at a music staff made of tape stuck to the glass fish tank, the musicians saw the fish as notes, moving up and down the staff to determine pitch and going away and coming close to indicate dynamics, a sort of three-dimensional interactive score. 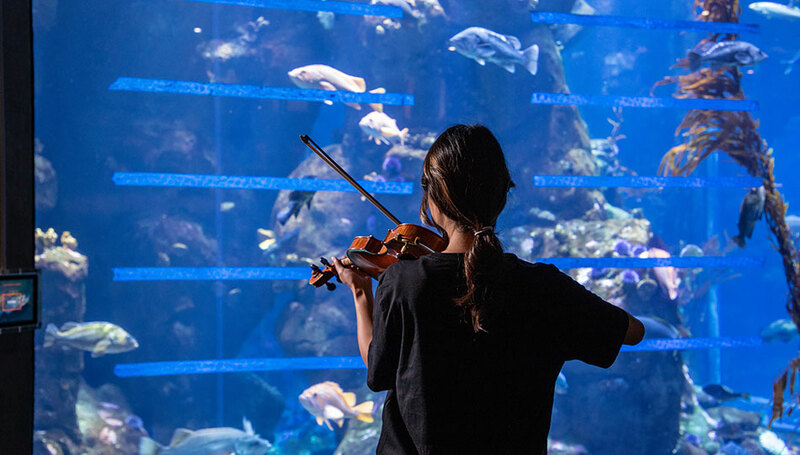 A few spectators, anticipating the experimental nature of a work involving live fish, were excited to see this piece come to life. 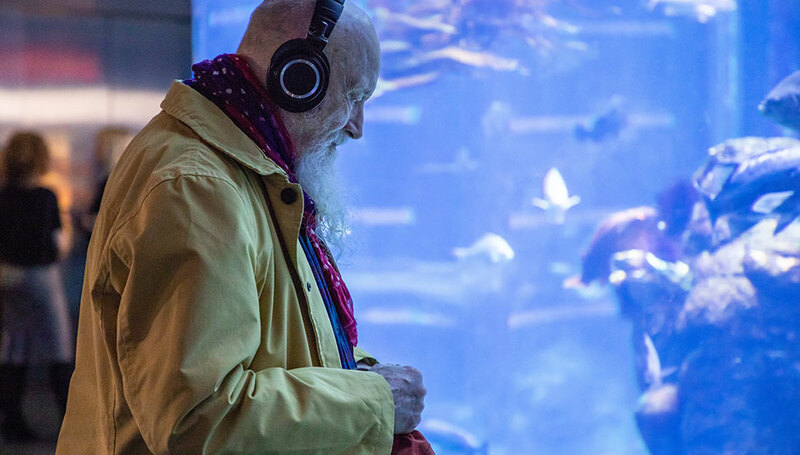 Some viewers were struck by how beautiful the music could be, while, in effect, the sounds are determined by chance—or fishy inclinations. 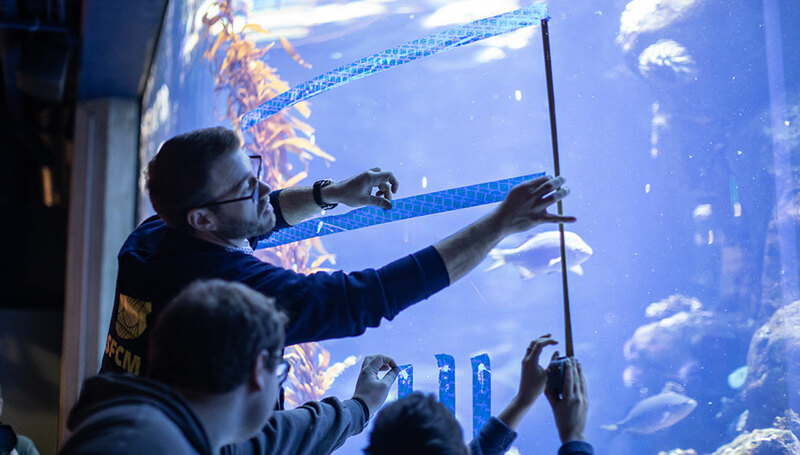 Luncheon attendees who weren’t at the Tropical Fish Opera were able to see what the excitement was all about the following day. 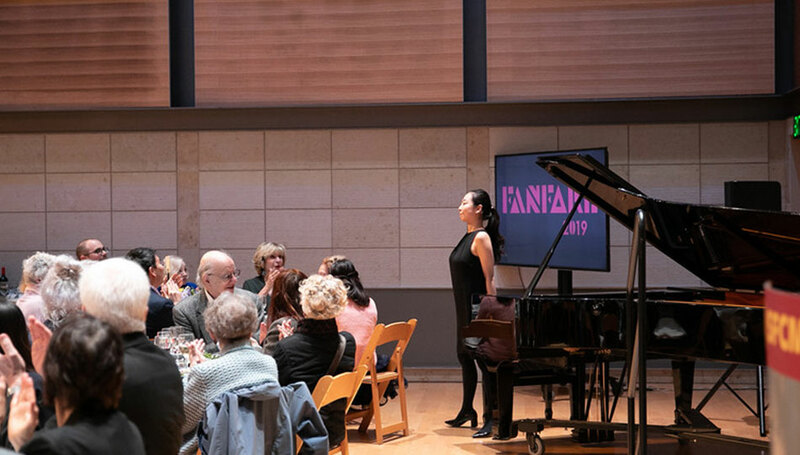 Since the event was filmed, a short video of the presentation was shown on the stage of SFCM’s Caroline H. Hume Concert, where the luncheon took place. 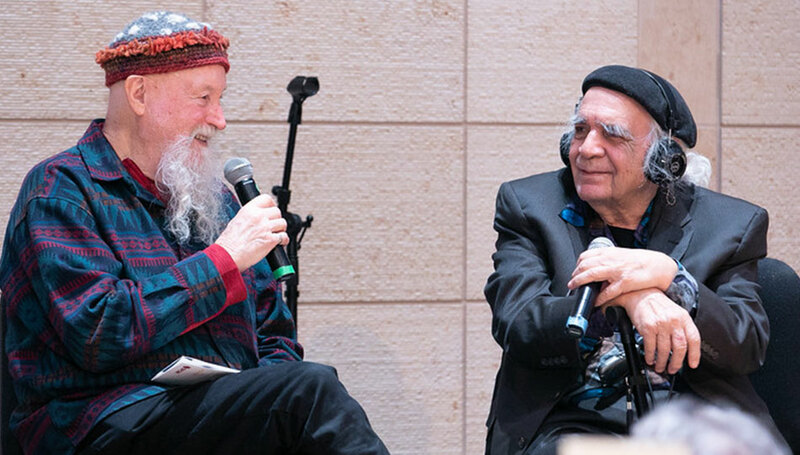 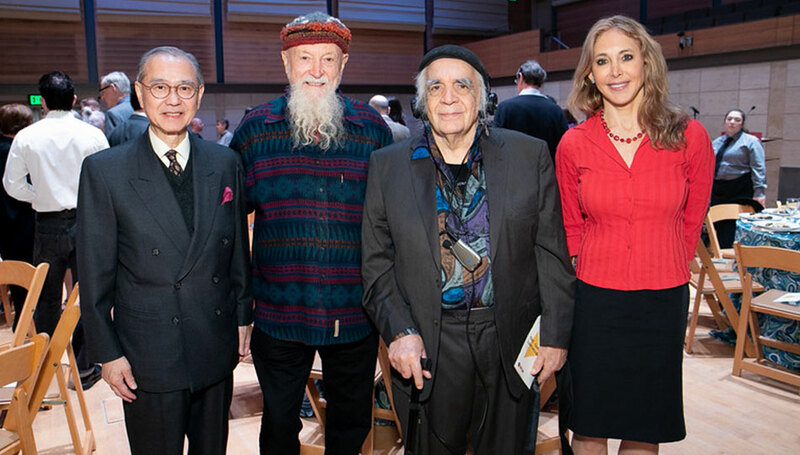 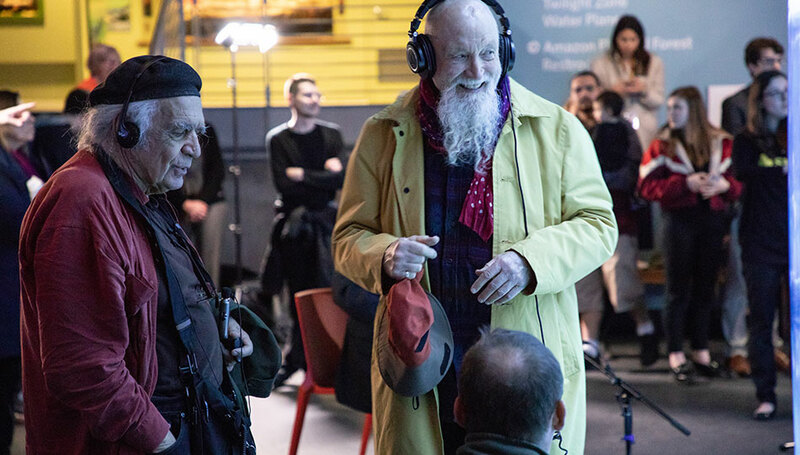 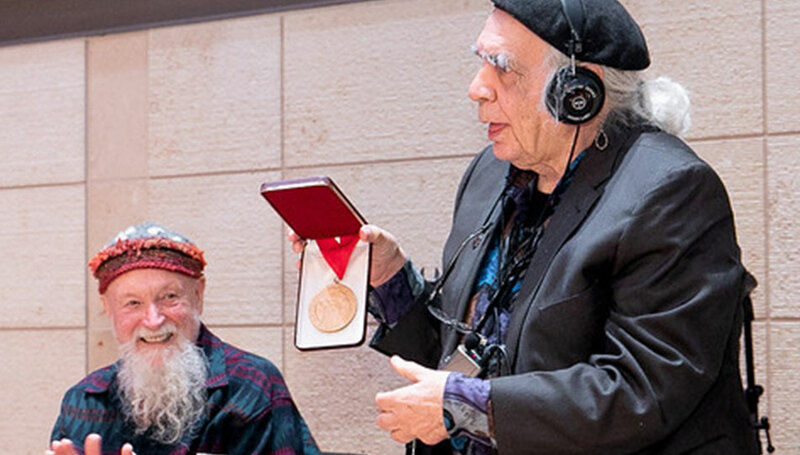 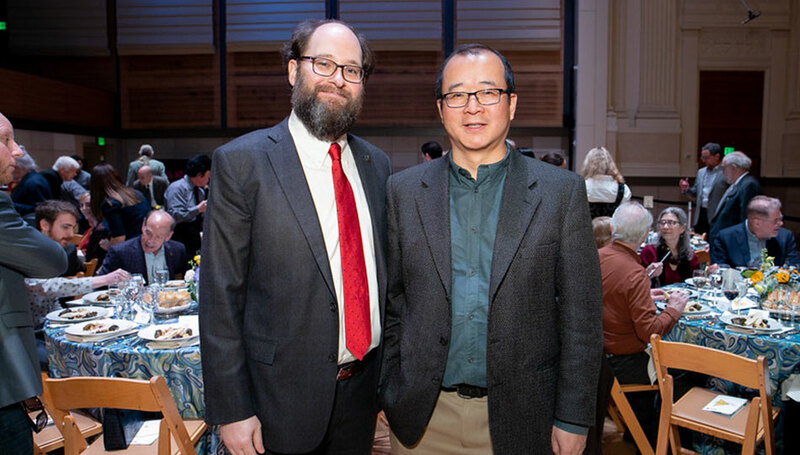 Chaired by SFCM trustee Eileen Blum and honorary doctorate recipient Terry Riley ’15, the Fanfare Luncheon was the perfect venue to honor Sender, as he was surrounded by SFCM alumni, artists, and community members. 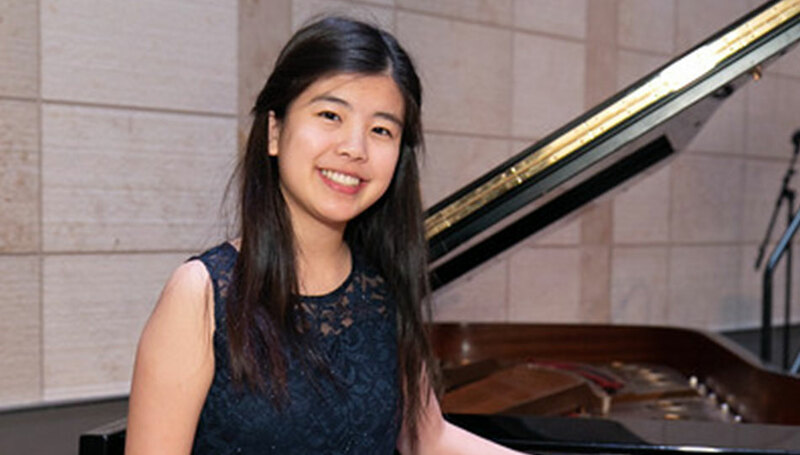 Pre-College pianist Charlotte Wong performed Granados’ Goyesca No. 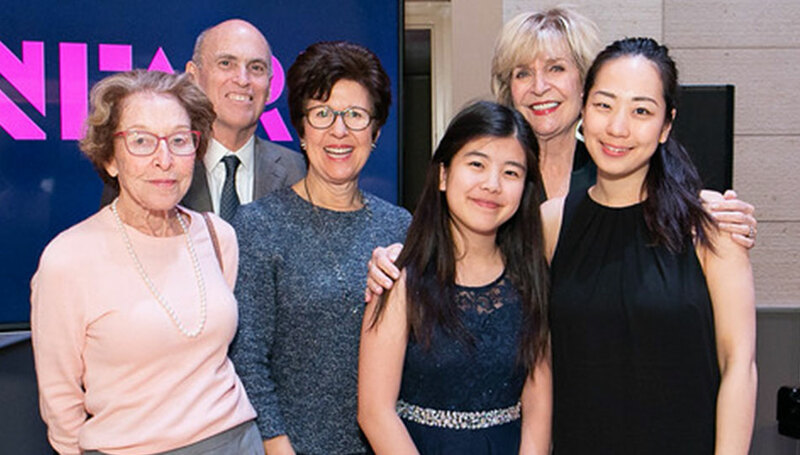 1 and collegiate pianist Jung-eun Kim ’20 performed Chopin’s Nocturne in B major for the guests. 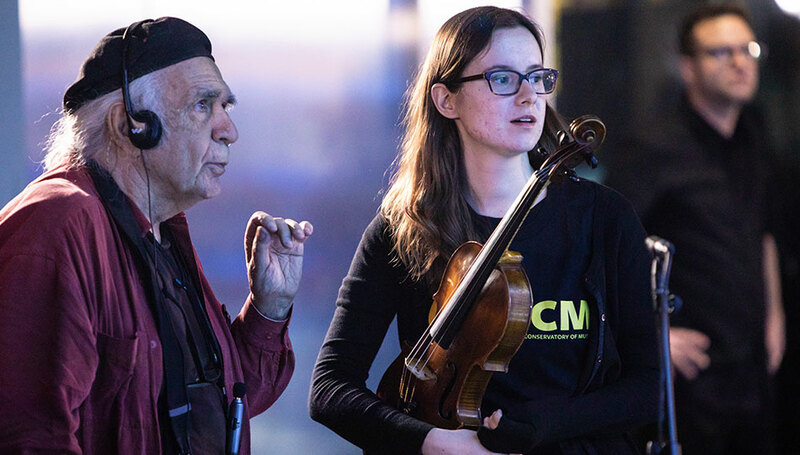 Riley sat down with Sender on stage, conversing about the Conservatory in the 1960s and what his early life as a composer was like in the Bay Area. 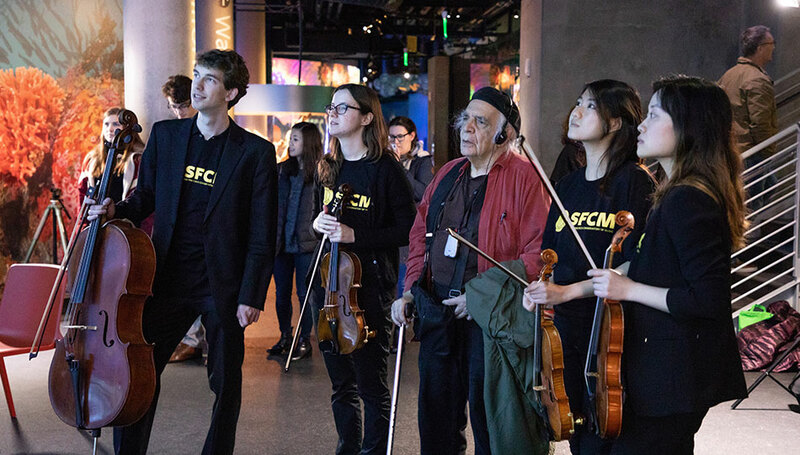 Sender recalled his enterprising spirit from those days, telling how he began the “Sonics” concert series in SFCM’s attic when the Conservatory was still located on Ortega Street. 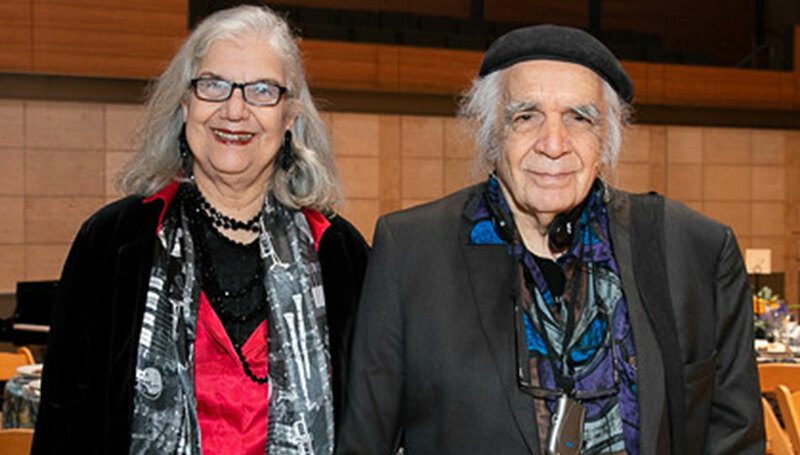 He didn’t know at the time that that action was the catalyst for a daring and radical approach to music that defined a generation of composers. 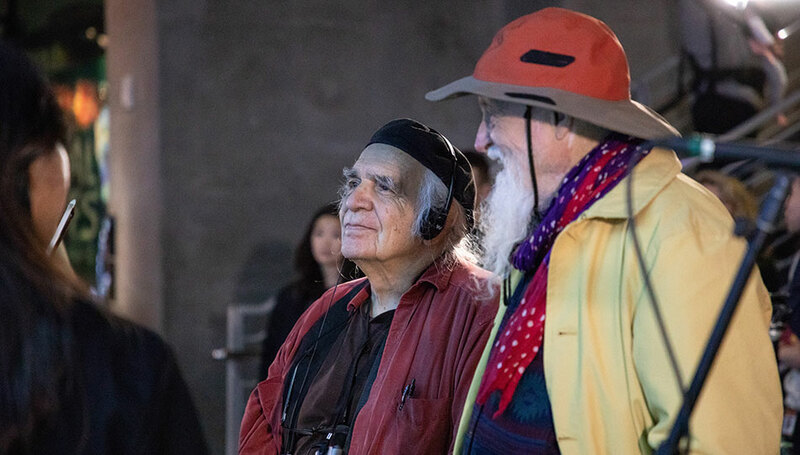 Minimalism and experimental electronic music thrived at the Tape Music Center, and it all started with Sender chiseling away at some concrete one night. 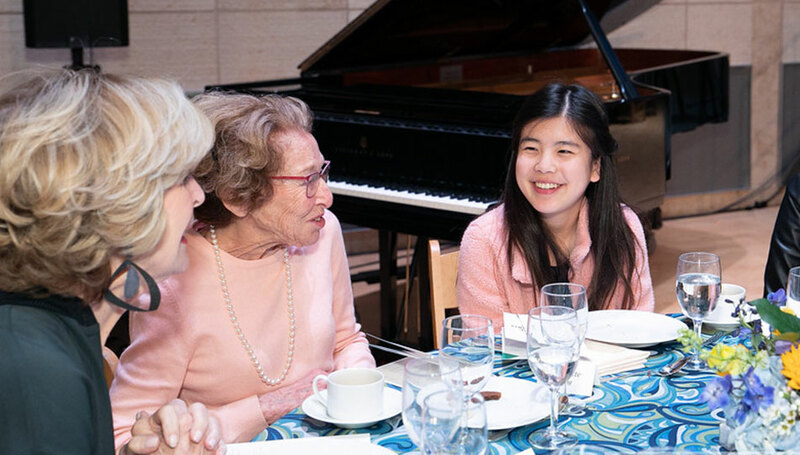 Peppered with funny remembrances and discussion that ranged from emotional to lighthearted, the Fanfare Luncheon lived up to its reputation as a celebratory event. 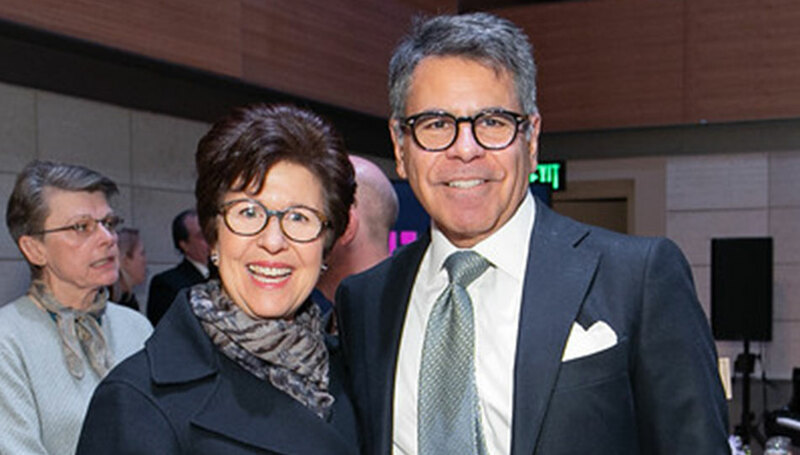 Wrapping up, Presidential Alumni Council Chair Gary Rust ’83 presented Sender with SFCM’s Distinguished Alumni Award. 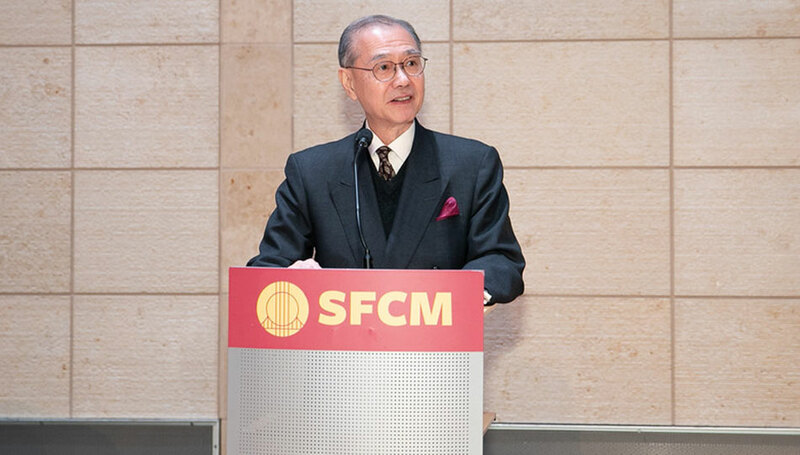 The long applause indicated that his life’s work and his story had an impact on SFCM’s community of alumni, students, and supporters.